Rao claimed it was wrong on the part of the Congress to "insult" the country's prime minister in public although healthy criticism was acceptable in democracy. 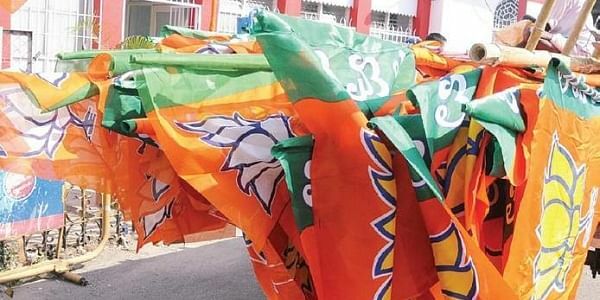 RAJKOT: The BJP today accused the Congress of having an "English mindset", a day after the Congress' youth wing posted a meme mocking Prime Minister Narendra Modi's 'chaiwala' past and English speaking skills. BJP national spokesperson GVL Narasimha Rao said the post--deleted after it created a controversy in the run-up to the Gujarat polls--was an "insult" to the common people of the country who do not speak English. "The tweet posted by the (Youth Congress) magazine against the prime minister is wrong. It is an insult to the common people who do not speak English language," Rao told reporters here. The BJP leader was in the city to campaign for the party candidates. The official Twitter handle of the Youth Congress' online magazine "Yuva Desh" had kicked up a row by mocking Modi's "chaiwalla" past and English speaking skills through a photograph showing him in conversation with British premier Theresa May and US President Donald Trump. The blurbs show Modi "mispronouncing" the word "meme", which is being corrected by Trump, and May dismissing the Indian prime minister by stating, "You stick to selling tea." After the flutter caused by the meme, the tweet was deleted and Indian Youth Congress (IYC) president Amarinder Singh Raja tendered his apology. He said though the common people were using smartphones and social media, they did not use English language for communication. "I have seen every person in Gujarat has a phone and uses Facebook and Whatsapp. However, all of them do not use English language. The Congress has thus not only insulted our prime minister, but also the people of our country who do not use English," the BJP leader alleged. Rao said nobody insulted the Russian president for not speaking English. "It's the Congress' English mindset which is wrong," he alleged.